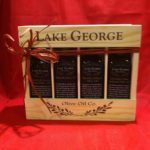 Taste of Italy Collection – Lake George Olive Oil Co. 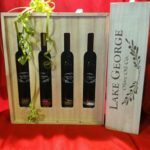 This collection includes: 1 60mL Tuscan Herb Olive Oil, 1 60mL Garlic Olive Oil, 1 60mL Sicilian Lemon White Balsamic, 1 60mL Traditional Aged Balsamic. 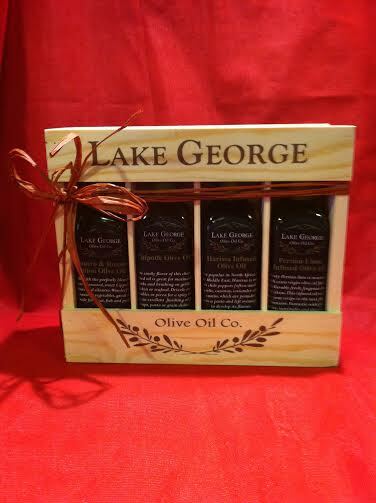 Packaged in a beautiful wooden Lake George Olive Oil bx, this collection is a great way to savor the robust flavors of the Mediterranean!